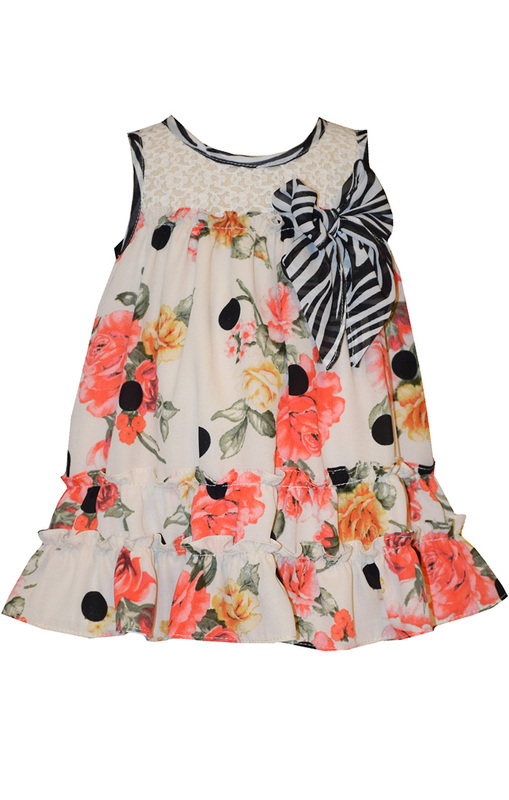 All over floral print chiffon dress is decorated with zebra print bow. Soft fabric dress is fully lined. New style and totally adorable!